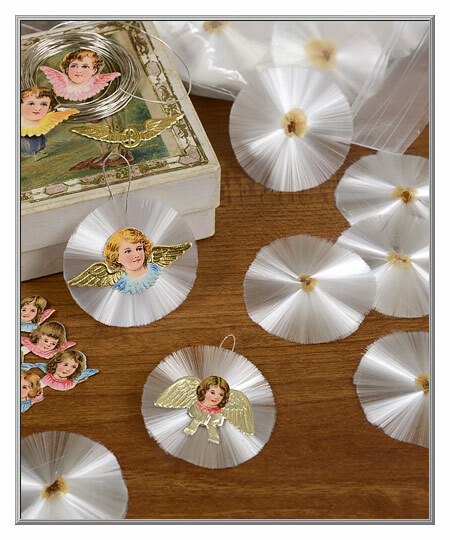 ornaments as well as for creating holiday treasures of your own. 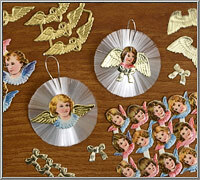 holiday ornaments to gloriously grand Christmas tree toppers. add a spun glass tail to create your own celestial comet. We were amazed when these 1½"
out to be quite the happy accident! while separating an old project box. sadly passed on a few years ago. we used to make these ornaments. 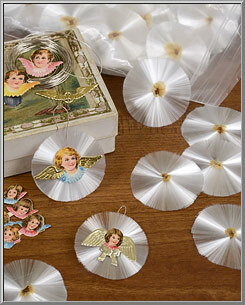 Absolutely "guaranteed to tarnish," our silver-plated string was produced with real metallic tinsel Lahn. Made in Austria by a firm that is no longer in business, this is the same type of string that was used for ornament crafting in the olden days. 3 yards per package. scrap face, cut it apart in the center. is all-purpose white tacky glue. Want to trim the edges of spun glass? The best tool is a pair of cutting pliers.